We have some gorgeous personalised Easter party bags featuring our very own Easter Bunny and Chick. Choose from the standard paper party bag, or go all out for the luxury cotton party bag. 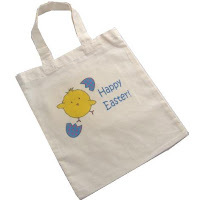 They make lovely gift bags and are perfect for Easter Egg hunts! Do these socks have the K-Factor?